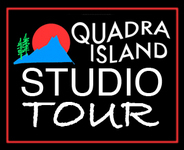 Quadra Island Artists are once again welcoming visitors to their 10th Annual Studio Tour on June 2nd and 3rd. This year over 30 artists will present their art at 25 studios as well as the Quadra Community Centre where a group show “sampler’ will also be on display. Quadra Island artists have many wonderful creations in their backyards, and the Studio Tour lets you experience them. There are a lot of interesting things to explore inside Quadra’s driveways. Paintings, pottery, perfectly cast and hand painted fish, art glass, hand built guitars, fabric art, sculpture, jewelry; they are all produced on the island. The tour is a wonderful way to get into artist’s studios and backyards and talk to them about their process. Along with wonderful gardens and vistas, it is a great way to vicariously experience island life. The Studio Tour has something for everyone to enjoy. William VanOrden at Bilz Rockfish Studio has perfected the process of molding and painting perfect replicas of rare and not so rare fish, many fantastical in form. His love of the process and his commitment to documenting different species, some endangered, is inspiring to any creative soul. His studio was a huge hit last year. Lance Armstrong - talking about his new Naked bicycle. Robin Williams- talking about Lance’s new Naked bicycle. James Pottery is an island institution and always a favourite destination. 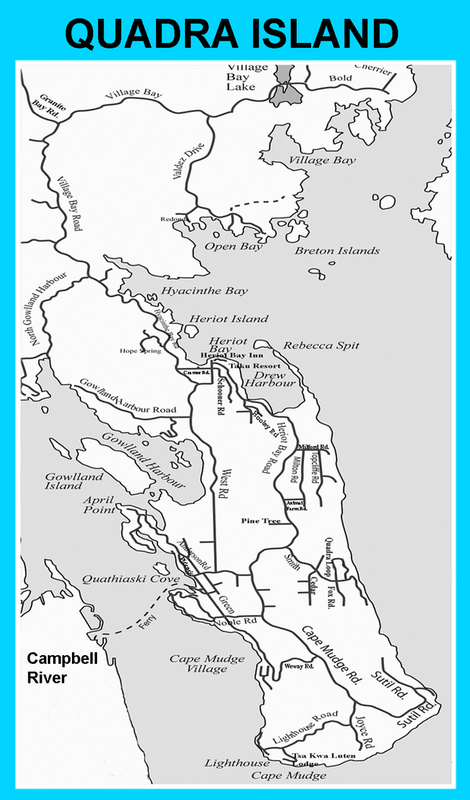 Gordon and Martha James have lived and produced their wares on the Island since the mid 70’s. Their work is a unique combination of the colorful, sublime and humorous. Their studio, which is as interesting as their work, is located on an old island homestead that overlooks the Strait of Georgia and is always a treat to visit and they are only two of many fine potters on the island. Perrin Sparks, a very technically skilled painter and illustrator, gives lessons & workshops in her studio. Aside from painting, she also produces beautiful drawings, pastels and etchings of small birds and animals. Chris Rose, a carver of soapstone bronze and alabaster, runs a young artist mentoring program. Cherie Hemmingsen’s “I Blew It” glass blowing studio teaches interested visitors and is always a favourite. All these will be on the tour along with several aspiring and established painters. Please click on the member name to get more information.